August headlines from around the web brought to you by the Wasp Buzz. You don’t typically think about barcodes when you go to the doctor or to a hospital. But think for a minute about what hospitals and medical clinics would be like without barcodes. Barcode hardware and software play a larger, more important role in healthcare than you might think. Barcodes – both seen and unseen – can help healthcare systems deliver services faster, more accurately, and, most important, more securely. For small business owners, taking a vacation is usually very necessary, but sometimes it’s just not convenient. Summer vacations for many small business owners are on hold this year as they start to see sales show gradual signs of recovery. Others are skipping summer vacations in order to offset slumping sales and prepare for fall. One of the biggest challenges for small businesses is managing a budget. 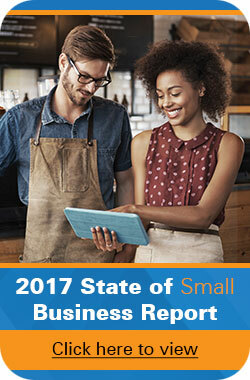 Therefore, the Wall Street Journal asks The Experts for insight into where small businesses waste the most money. We particularly like the information from John Jordan, CEO of Sonoma County’s Jordan Winery, regarding small businesses having excess inventory that can consume their cash. Typically, surveillance systems are used for keeping track of mischief and reducing crime. New technologies, however, are helping storeowners to use existing security cameras to boost business and marketing efforts. Although the technology can be helpful, some patrons take issue to it because they believe it invades their privacy.